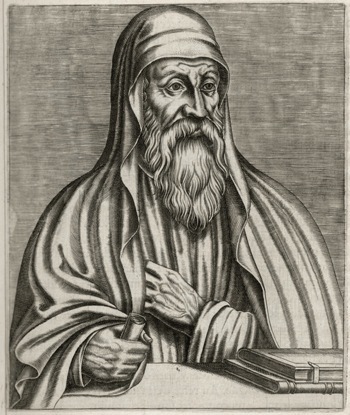 The father of Origen, a third-century theologian, was arrested for being a Christian. Origen, then only 17, was aflame with the desire to follow his dad and share in glorious martyrdom. His mother pleaded with him not to go, but the headstrong boy did not want to listen to reason. His quick-thinking mother did what she could — she hid his clothes. Though Origen stormed and protested, she wouldn’t reveal where they were hidden. He couldn’t leave the house, and so he was unable to volunteer for martyrdom. Isn’t it interesting? Origen was brave enough to be martyred, but not brave enough to go outside naked. Stepping outside without clothing would have sped up his arrest and imprisonment, but it was a step he was unwilling to take. In a sense, I suspect that talking with a friend about our faith is for many of us the equivalent of going outside naked. It makes us uncomfortable. We feel exposed. We declare that we will give our lives for Christ if He should ask it, but to risk a bit of embarrassment for him seems to be beyond our level of discipleship. How sad! The disciples were willing to forsake everything, including the esteem of their friends. —By King Duncan, in “Main Street Monitor,” bulletin of the Main Street congregation, Manchester, TN, taken from this month’s issue of Bulletin Gold. Slightly edited.